Ever find yourself in need of a bigger sized knockout on an existing knockout but find yourself without a knockout punch? Jebediah Novak from Local 405 out of Cedar Rapids, Iowa City has the solution! Since 1857 Klein Tools has been the leader in the design, development, production and marketing of quality products and services that meet the needs of trade professionals and other skilled craftsmen and women who use tools to do their jobs. Discover what the pros know at www.kleintools.com. The IBEW Hour Power Job Tips are time saving tips and tricks for the job-site. Tune into our Job Tips channel for more tips like this one. Hi, my name is Jebediah Novak, I’m a third generation wireman with local 405, Cedar Rapids, Iowa City. 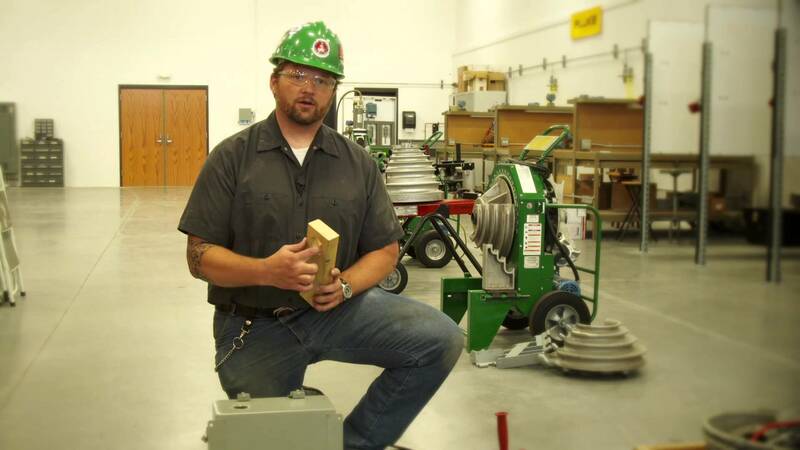 I’m an instructor with the Cedar Rapids Electrical JATC and today I have job tip to help you. Where we have a pre-existing knockout in an enclosure and we need to increase the size of the knockout to accommodate for a larger sized conduit, however we don’t have the ideal tool, which would be a knockout punch. Instead, we are going to have to use a hole saw. What we can do is lay out where we want our new hole to go, get a piece of scrap 2×4 and pre-drill a hole using your hole saw to fit the size conduit that we are going with. Then, lock the backside with a piece of wood, that gives out pilot bit something to go into. Then we will line up our template. You may want to put a couple lines in there to keep an eye on where you are at. Grab a clamp and clamp the piece of wood into position. Now my 2×4 will act as a guide to allow me to drill my knockout. Now, we are ready to accommodate our two-inch conduit. Hopefully this job tip will help you on the job site and make your next installation a little easier. Job Tips are made possible by Klein Tools. Pros know the difference.